Have you once noticed that certain, relatively simple clothing pieces tend to adapt to your body without being skin tight? Maybe the fabric feels like a second skin,clinging naturally to your curves and enabling your body to move freely? 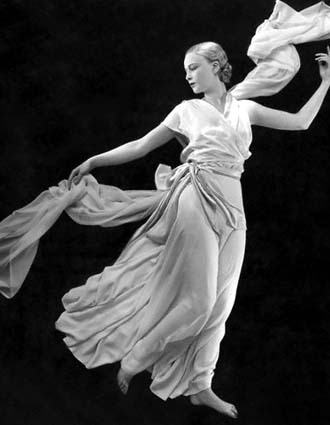 Let’s start with a bit of history and an introduction to the brilliant French designer, Madeleine Vionnet. During the early 20th century – an era of corsets and padding – the progressive Vionnet introduced comfortable bias-cut garments that a woman could put on easily. She found her inspiration in Greco-Roman art in Italy. Unlike a traditional cut on the straight grain, the bias-cut technique is performed in diagonal direction of the cloth. The process takes a lot of fabric and a lot of skill. This is the reason that quite often the mass-produced imitation of designer garment doesn’t bring out the best of the body as easily as the designer original. But I’m getting a bit ahead of myself. Back to the genius of Madeleine Vionnet. And he wasn’t her only admirer. She influenced Halston, John Galliano, Comme des Garçons and many other famous contemporary designers. If you have a curvy body and you are not a big fan of structural clothes, you may want to consider a bias-cut piece that gently accentuates your lines while floating freely around the body. A great investment would be a minimalistic bias-cut dress that can be dressed up and dressed down. It’s especially a great choice if you have a busy lifestyle. For more ideas and inspirations follow my Pinterest board “Bias Cut” by clicking here. If you are fond of design, you must visit NYC High Line. Here you can find endless inspiration! Double-breasted black-navy jacket – a perfect spring gear for a woman who’s constantly on the go. Sometimes I like to sling it over my shoulders or wear as a dress. Audrey Tautou plays Coco Chanel in “Coco Avant Chanel” film. Time magazine named French designer Coco Chanel one of the 100 most influential women of the 20th century for a reason. She had exuberance, passion and ambition that changed the industry and the cultural milieu of the modern woman. Her designs created a paradigm shift in the fashion world. We are all thankful that she liberated women from wearing stifling corsets. She introduced a unique, androgynous style by wearing trousers in public. 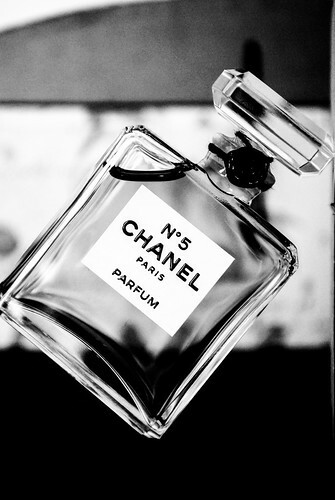 High society women began to wear Chanel No. 5, which was considered inappropriate and provocative at the time. Coco Chanel was so many things. An artist, a rebel, a thinker. But most of all, she was a shrewd businesswoman. Entrepreneurs typically share similar personality traits. They like to get what they want, personally and professionally. They are determined, self-absorbed and persuasive. Does this conjure up images of a selfish monster? Guess what? Without these traits, it’s impossible to succeed. These traits are necessary, even essential, to move interests forward against societal norms. You have to be selfish and have a courage to stand up for your beliefs. Again, I refer to Chanel. Industry and cultural leaders criticized her designs, aesthetics and vision. However, she maintained her self-confidence, which served as the foundation of her extraordinary success. The journey of entrepreneurship has its pitfalls. You will meet people who will throw stones, and be negative about you and your beliefs. Ignore this disapproval and surround yourself with mentors and friends who wish you success. Some of your friends will end up obstacles. You even may lose some friends. In the end, ask yourself: Were they true friends, anyway? You are the creator of your life. If you feel unhappy professionally or personally, change it. Go deep inside yourself and ask questions. “Why are you unhappy in your current relationship?” “What excites me?” “What do I want achieve in life?” Take a break and travel. Meet new people. Get inspired by different perspectives. Traveling offers so much. Don’t beat yourself up by comparing yourself to others. Don’t even be tempted to compete with others by copying ideas. Instead, focus on your unique strengths and develop your strategies, based on your skills, experience and knowledge. Well, the truth is you are creative. In this era of rapid technological development, innovative thinking is required. Embrace your creativity, do what you love and experiment with your gift. Diversify, rather than solely focusing on one thing. Be creative in the way you connect with people, sell the product, solve the problems and learn new things. Embrace your hobby, your passion. Cultivate it. Make it part of your lifestyle. Experiment. Chanel, for example, throughout her career, innovated. Fashion was a part of her lifestyle, not just solely the vehicle for her business. Russian Orientalism and the Ballet Russe. The clothing from her male lovers. All of these elements became part of her fascinating designs. Designs that will last forever. We all have our favorite wardrobe pieces, which fit perfectly and flatter our bodies. Yet, even a beautiful piece can become boring and outdated. In this case, I personally love to purchase new accessories or mix my favorite outfit with new trends for an instant updated look. The great thing is, unlike decades ago when mixing different trends was a fashion faux pas, today’s fashion enthusiasts consider it standard. It can also save you a tremendous amount of money. Bib necklace. These jewelry items were very popular back in the 1960s. Today, you can find them in almost every vintage store for just a few bucks. Pointed toe pumps. This is probably one of my favorite trends. They instantly give a feminine touch to any formal professional attire. If you are a big fan of androgynous fashion, mixing masculine clothes with pointed toe pumps creates a very chic, modern look. Duffle bag. A duffle bag can instantly update your outfit as well. Beanie hat!! Ah, I absolutely love this trend. The right beanie hat can instantly update your look and erase years, if it is mixed with the right clothes. Don’t be afraid to mix it up with formal wear, such as blazers, oversized coats and pointed toe pumps for a chic, modern look. Oversized coat/jacket. This trend is an echo of 80s will stay for a while. It’s especially great piece to have, if you want to hide some flaws of your body. Choose the one that has a structured design to flatter your body. The stand-up collar, combined with tucked-in hair, will instantly create an edgy, modern image. Let’s face it. Not everyone has perfect proportions no matter how hard you work out. Hour glass-shaped women quite often desire to make their hips look slimmer and legs look longer. Rectangular shaped women who usually have long beautiful legs desire to make the waist look thinner. While wearing all black might make you look few pounds lighter, the current trends enable a great choice of dresses with structural design and a pattern which creates the optical illusion of changing size. I absolutely love these dresses.